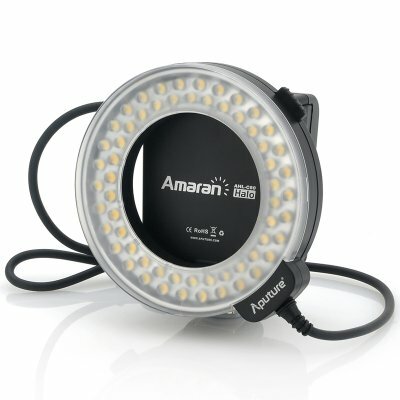 Successfully Added Macro LED Ring Light "Apurture Amaran AHL-C60" - For Canon, 8 Mounts, Adjustable Light Settings to your Shopping Cart. Macro LED Ring Light for Canon DSLR cameras with Hot-shoe mount, brightness adjustment and 8 mounting accessories. 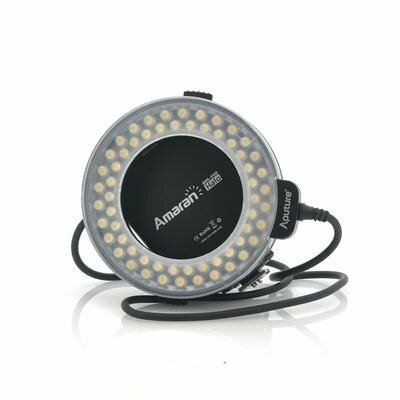 The "Apurture Amaran AHL-C60" is a powerful and versatile LED ring light that has specially been developed for macro photography. Equipped with 60 high powered bright white LEDs, it features a Hot-shoe mount for easy installation and a variable power switch to quickly and easily optimize the light output. Sync the “AHL-C60” with your flash or use it on constant mode for different lighting effects such as left/right illumination and more. 8 different adaptor rings are provided (49mm, 52mm, 55mm, 58mm, 62mm, 67mm, 72mm, 77mm) so the LED Ring lights can fit most types of lenses. In stock now, the "Apurture Amaran AHL-C60" can be shipped out to you within 1 working day and comes with a 12 months warranty. Brought to you by the leader in wholesale electronics and camera accessories, Chinavasion. "Canon", and all models listed in this descriptions are trademarks of Cannon Inc., registered in the U.S. and other countries. This and other similar products are not claimed to be an authorized or branded product by Cannon Inc. These products and our company are not affiliated with Cannon Inc. or endorsed by them in any way. Our products are unbranded / white box and are sourced with full respect for Intellectual Property Rights - you will never be sold a fake brand or misrepresented product by Chinavasion.com.